Come and feel the great emotion where you will feel every beet of your heart every beat and your arms have to be strong to be able to fight the big carp-fishes that lives in this lake. Mysterious, fascinating, a quiet reserved lake dedicated for carp-fishing exclusively with a big C, placed in the tuscan hills in the middle of rich woods full of wild-life. The lake offers the possibility to loose oneself completely in fishing withouth any kind of annoyance from other fishers or curious people. Totally natural it's intentionally kept like nature comands given that the nature has been so good-willing with theese wathers. In fact this lake, famous in all of Italy because of the extreme growth of the Carps that live here, dovuta of an amazing natural alimentation, offers the possibility to cach big exemplaries of the carp «BIG CARP». This reserva has four carpfishing posts to its disposition made only on one side of the lake and cured to the least of details, place for the tent, place for the rod pod, space for the ritual photographing. All of the posts are easy to get to and with the car you get to the distance of 5 meters from them. The quantity of fish present in this lake is striking. The one's we have been able to verify there are 1 koi (Japanese carpe) of 5 kg., 5 common/European carps of ca. 7 kg., of ca. 7 kg., 15 common carps and mirror carps between 10 and 15 kg., over 20 common carps and mirror carps which weighs from 15 to 22 kg., 8 carps that weighs from 23-27 kg. WE are talking about indicative weights because the carps are constatly growing and one has to take that into consideration that there for sure are fish that hasen't been caught in years and therefor we do not know their weight thet have reached. We advice that you go maximum four fishers per reserved week, so that they can choose between 4 fishing posts, but the best would for sure be if one where in tree or even better in three, given that the carps in this lake are very suspicious. In the lake there are also two sheat-fish and ca. 10 grass carps from ca.10 to 15 kg., and about 15 amur fish (?) between 16 and 22 kg. There is possibilities to barbecue, there's a chimical WC, there is no electricity, no bathrooms, no showers, no lodges and no bars. Nearby there's a pizzeria, a bar, a confectioner's, and we are at your disposal to assist you at any need, like charging batteries (non capisco cosa vuol dire: icarica bartterie taniche d’acqua), provitions/ supplies, bait, fish food etc. It's only possible to make a reservation for 12 weeks a year, divided into one week a month. This is to not create stress to the fish so that they can continue to live and grow peacefully. 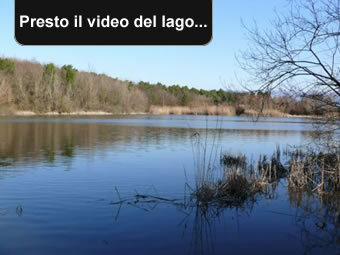 It's important to remeber that the lake is 35 kilometers from Florence and 70 km. From the sea where you can find important turist resorts, and its surrounded by lovely hills and famous cities like Pistoia and Pescia with the most beautiful flower culture in the world and beautiful small city-centers where you can buy local product that are tipical of the zone, like olive oil, wine etc. The payment must be paid by a bank transfer o by credit card within 7 days from the confermation of reservation from the lake-staff. Otherwise the reservation will be annuled. me it's possible to keep the fish in a carp-sack until the morning, and than you have to set free the fish aften the photoes. 6) You can onlu kee one carp in every carp-sack. 10) It's forbidden to use granaglie as fish-feeding (only the ones booked 10 days before direktly to the lake staff, this is because the granaglie has to be treated in a spetial way before it's used). 13) It's mandatory to use a hand net that has at least 100 centimeter opening. 16) It's mandatory to use the carbage cans for garbage and to leave the site clean. If you fail to follow even only one of theese seventeen rules you can risk being expulsed immediately from the lake-area and an eventual charge to the authorities! All this is to keep the paradise-like environment and to allow the fortunate fishers who throw their bait here to be truly envied!